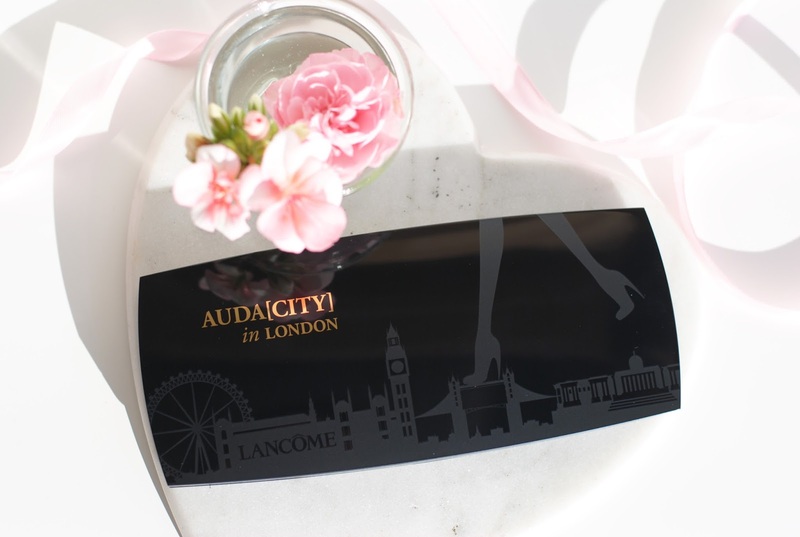 If there is one city that stimulates creativity, it's London. The city of contrasts and vivid energy, a place with a unique mix of conservatism and eccentricity. 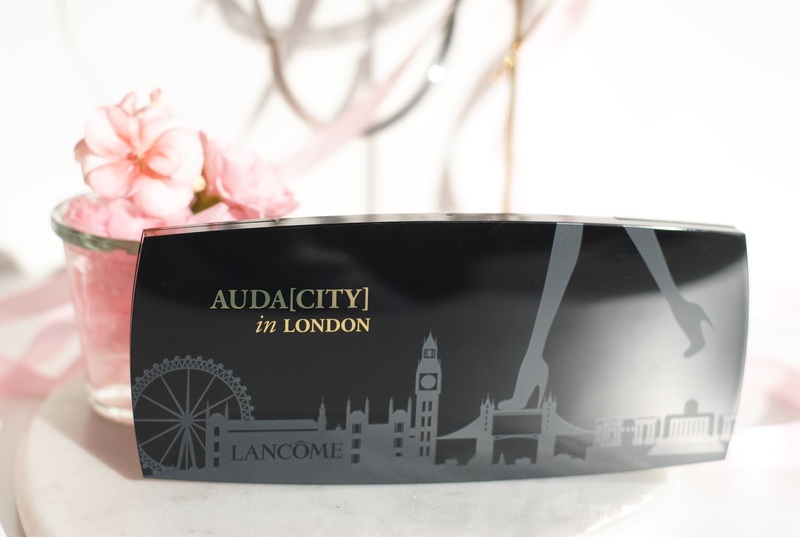 Lancôme gave carte blanche to Lisa Eldridge, a true Londonist, to create this palette - an ode to the city. 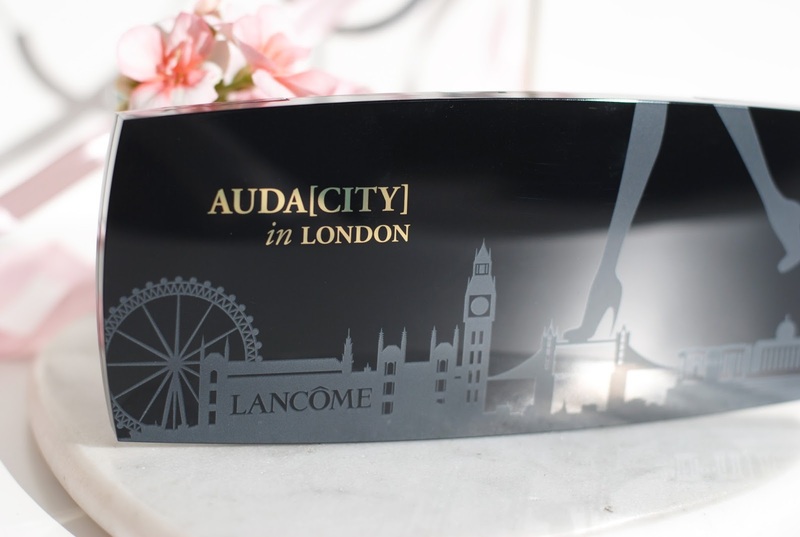 The packaging is beautiful, it has the London skyline on it in a grey that's slightly lighter than the black palette. 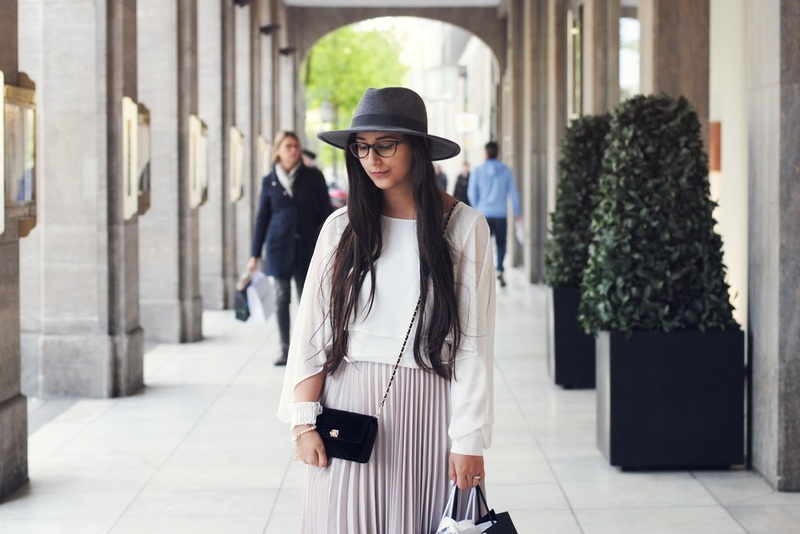 The name is written in gold, it gives something effortless and chic to the palette. Inside you'll find a mirror and 16 shades, all connected to the British symbols and panoramas. 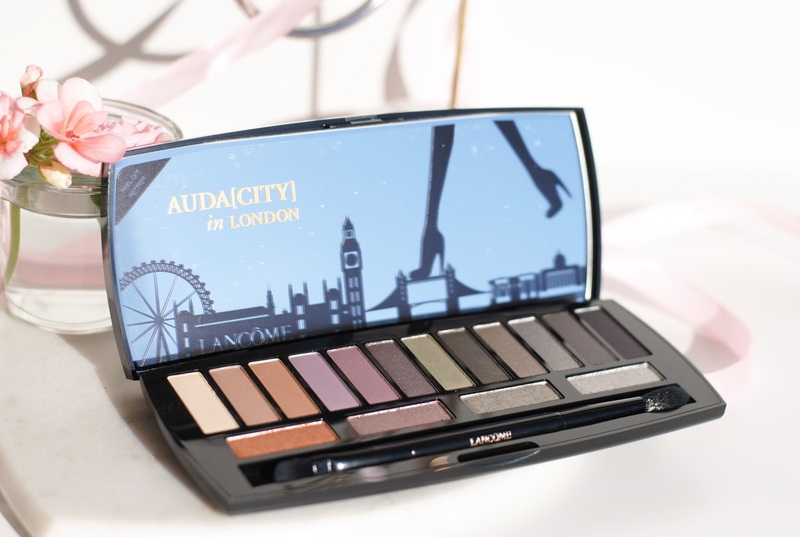 The palette tells the history of London: the gold hues for the crown jewels, the purple shades inspired by the misty mornings, the grey colors like te stones of the buildings and in contrast the green inspired by the parcs. 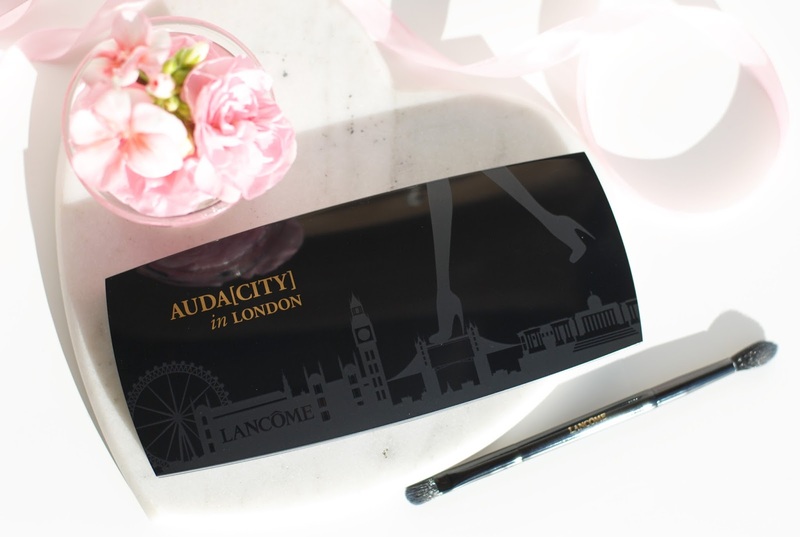 The brush that comes with the palette has a blending side and a flat side, so everything you need to apply the shades. 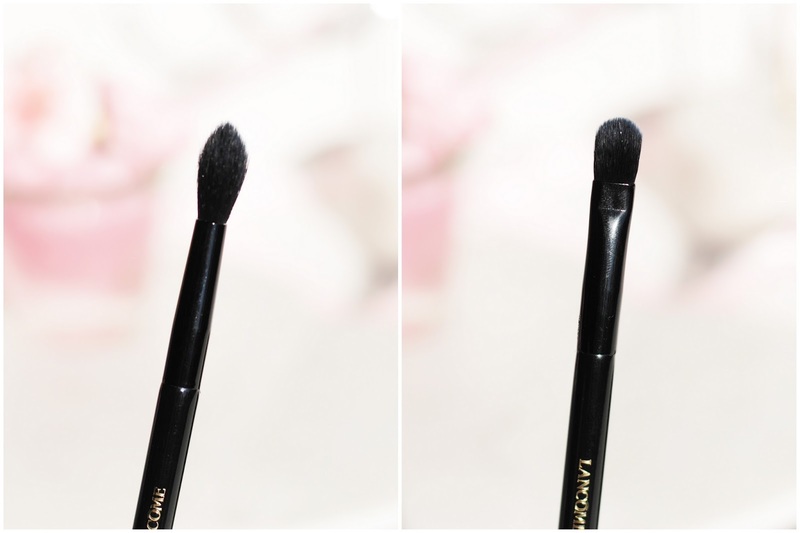 It's great that this brush has a blending side, that's something brands often forget but it's such an important brush. Time to took a closer look at the colors! 16 shades, matte and shimmer and 4 of them are glitter topcoats. 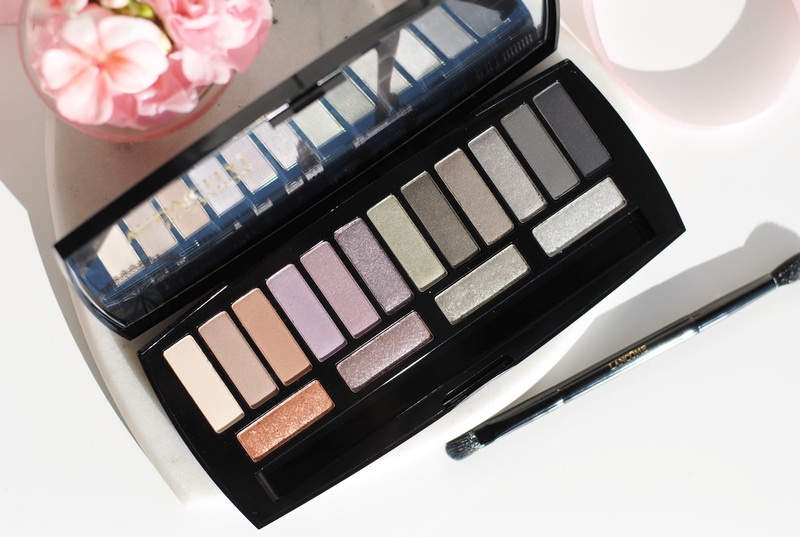 Not all of the colors are as pigmented, some mattes apply well but have really soft shades. 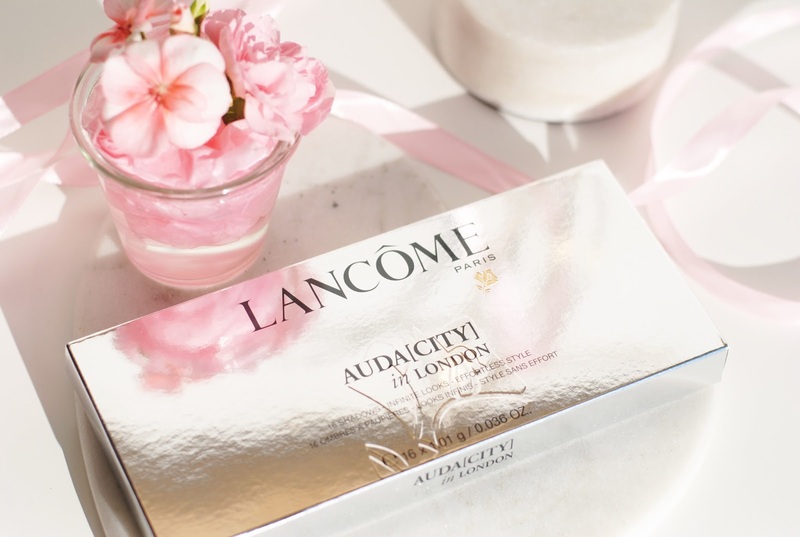 But the soft shades are something I know Lancôme often does and it's typical for their palettes (and great for everyday looks). The top coats are a bit chunky, similar to some Urban decay colors. I would recommend applying them with a wet, flat brush. 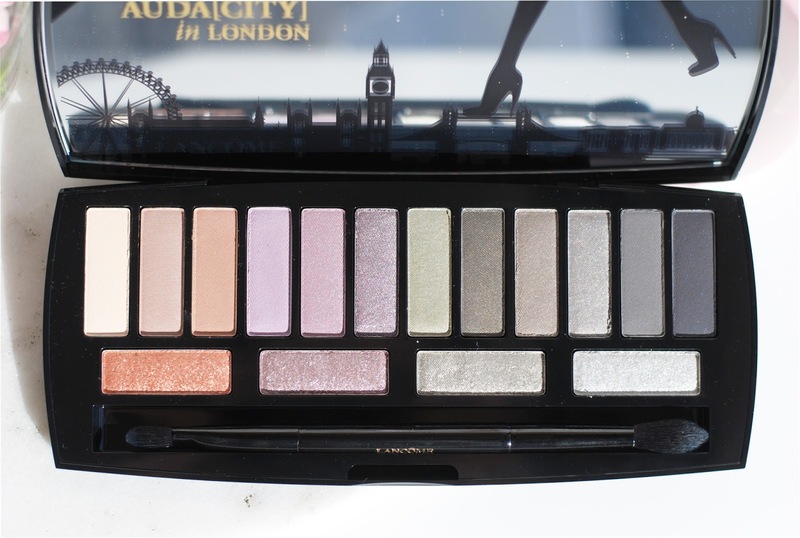 They're beautiful though, something that makes this palette standout. And as you can see: the 4 top coats match the color scheme of the 3 eyeshadows above, very well thought out! 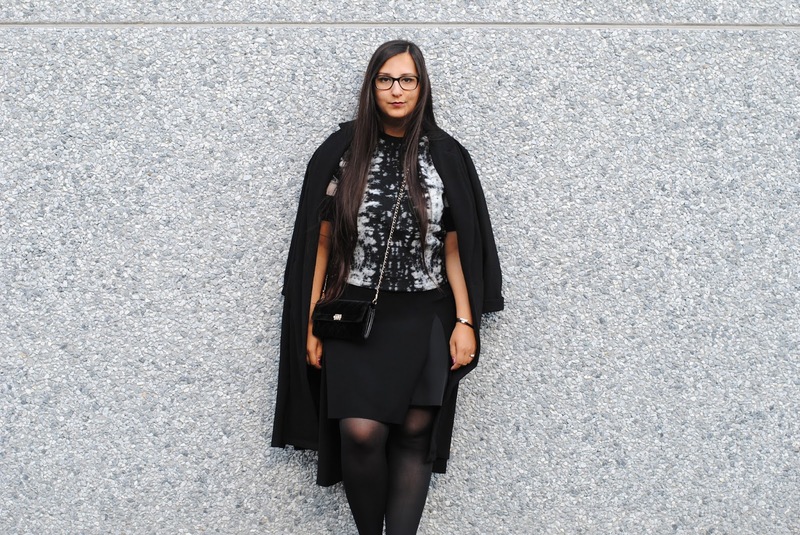 The palette has an overall 'cool' appearance with cool toned grey and purple shades. 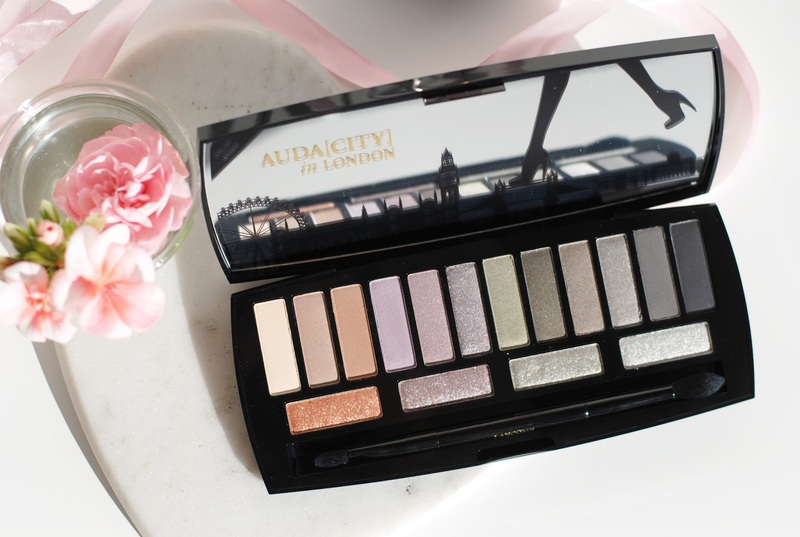 The Audacity in Paris palette (the previous Audacity palette) has a warmer tone. I really like the colors of this one, Purple Queen is definitely my favorite of the palette. 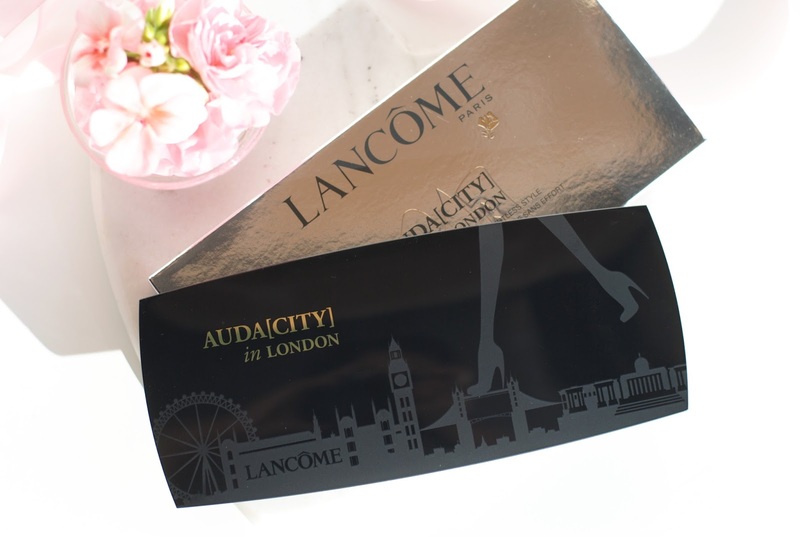 The packaging is great too, the palette really captures that London feeling. I thought I read an awful review on this a while back... But maybe I'm mistaking it for another palette. 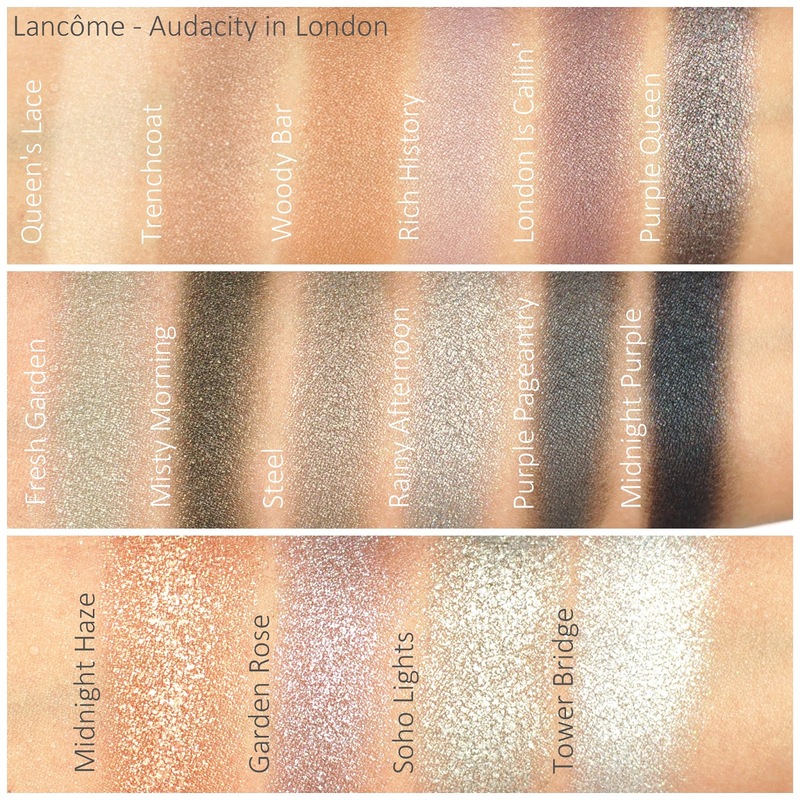 Because the swatches do look nice. I love the shade London is Callin'! 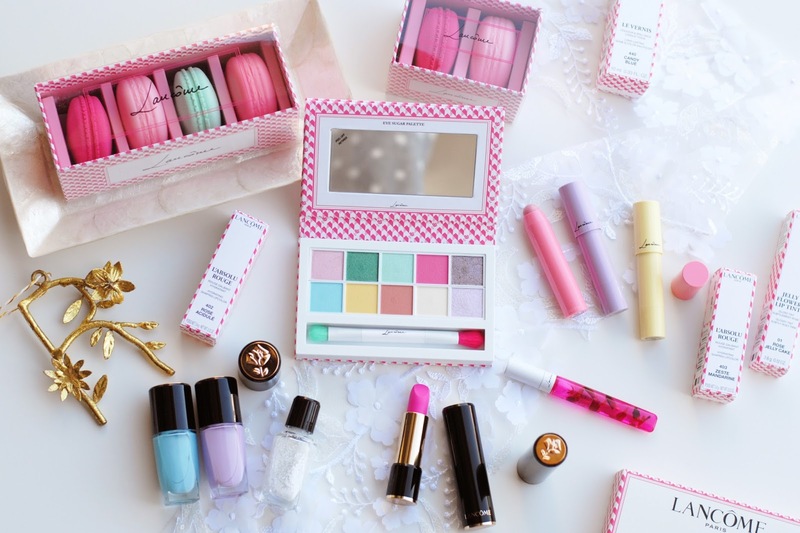 But I don't think I would get this palette, I like having more matte shades as well. Het zijn mooie kleuren maar helaas niet echt geschikt voor mij. Prachtige foto's! I prefer this one over the other palette, love all the cool tones! And those top coats really stand out to me, so pretty! Ooh wat een tof doosje! Fijn ook dat er zoveel verschillende kleuren inzitten! 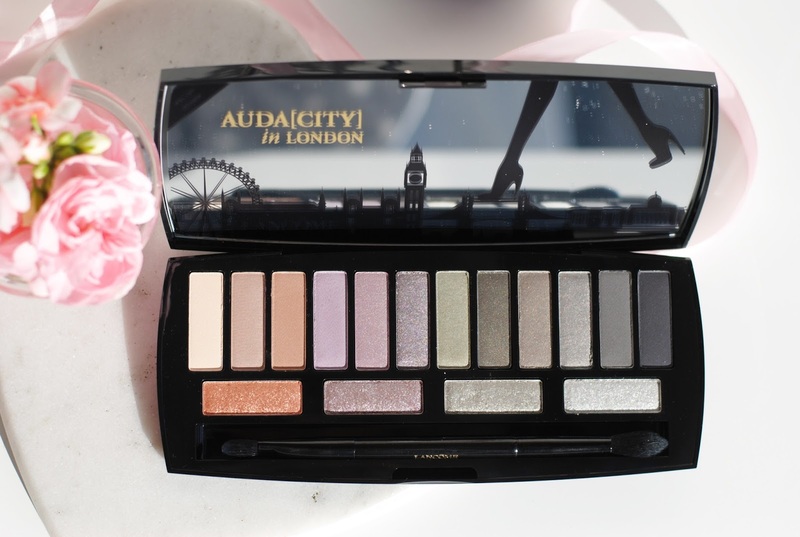 I need this palette like I need air to breathe! I want! IT is so pretty! But it doesn't feel like an original palette to me, a lot of brand already came out with these kind of colors. Oh het doosje ziet er zo mooi uit!